The Toronto band Ocean comprised singer Janice Brown, singer-keyboardist Greg Brown, bassist Jeff Jones, guitarist Dave Tamblyn and drummer Chuck Slater. Their first single, “Put Your Hand in the Hand”, a huge pop hit in 1971, was written by Gene McLellan, who’d played with Robbie Robertson in both the Consuls and the Suedes. Several singles followed during the early ’70s, but none were as popular as the debut. 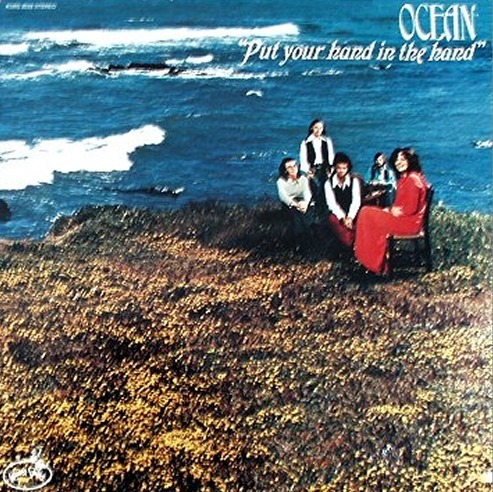 Ocean disbanded in 1975. A version of Robbie Robertson’s “The Stones That I Throw” originally released on a Levon and The Hawks single in 1965, was included on Put Your Hand In The Hand. The album was re-released as a budget CD on the Unidisc label in 2000.